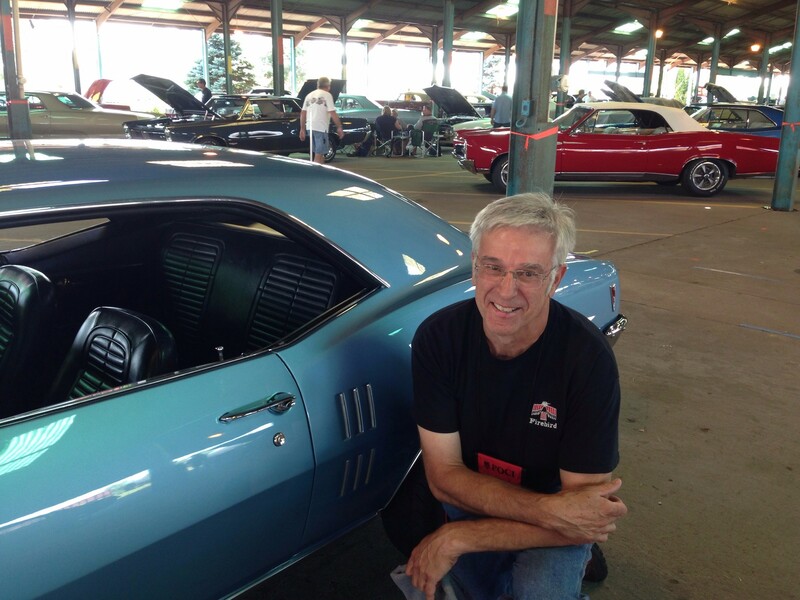 Ron and his 1968 Alpine Blue Firebird coupe at the 2016 POCI convention in Iowa. 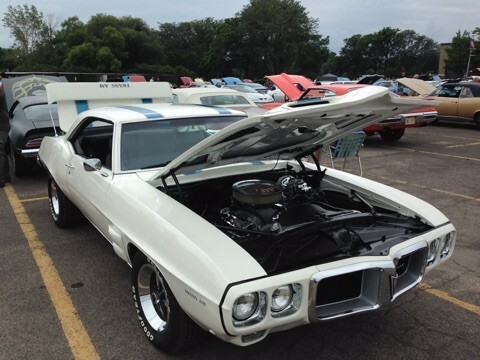 We first met North Carolina member, Ron Vaseleski at the Indian Uprising in St. Charles Illinois in 2015, with his other first gen Firebird, a nicely done, 1969 4-speed, Trans Am tribute. 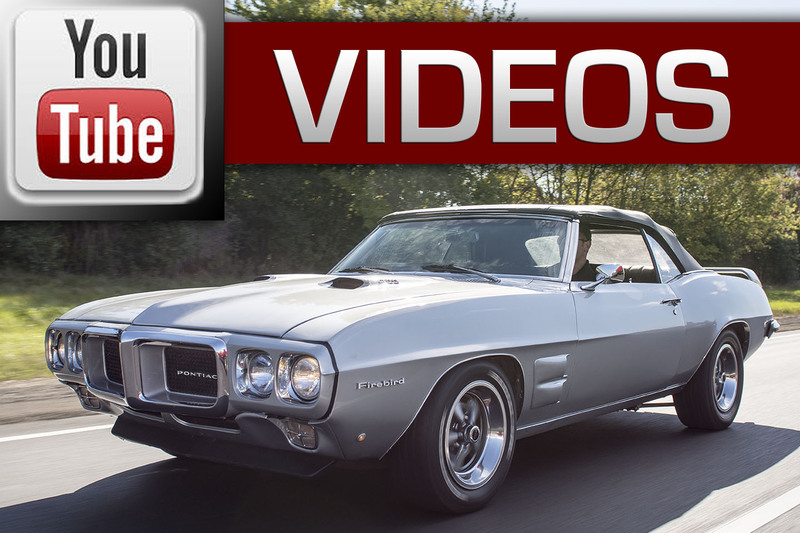 This freshly restored 1969 4-speed Firebird coupe, is an affordable way to get the look and feel of a ’69 Trans Am without the $100k price tag! I just love this picture, showing Ron’s car pulling in near an all original, unrestored ’69 Trans Am. Some things do get better with age…. “You should get an old car now so when you are eighty years old in the retirement home you’re not saying I wish I would have done that. 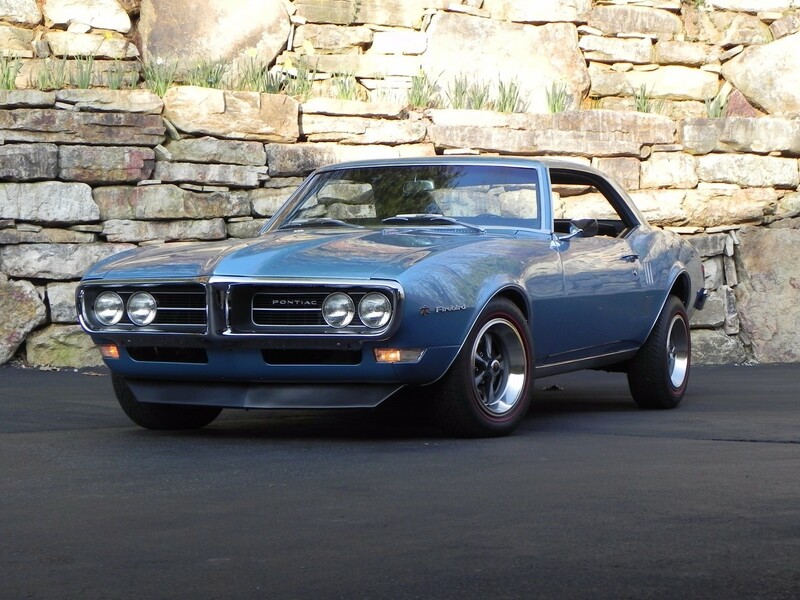 I had a 68 Firebird when I was growing up and I’d be fine with one of those.” This is what my wife said to me about ten years ago which started me into the Pontiac Firebird hobby. Needless to say, I was on a hard target search shortly after she green lighted the project. Prior to this point, having grown up in the 1960’s, I was a window shopper of muscle cars going to car shows, museums and collector dealers just to look. 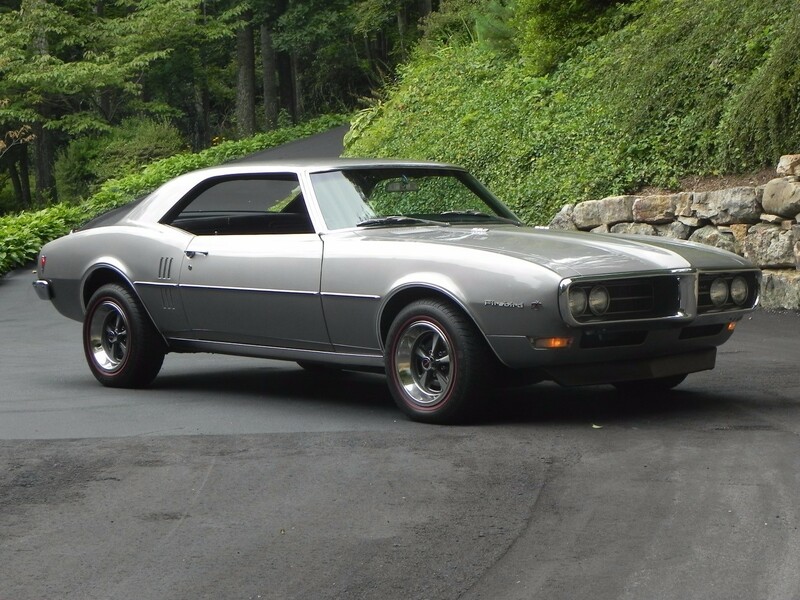 Now I was scouring the internet and collector car sites, such as Hemmings and eBay Motors, looking for my 68 Firebird. I quickly found that 400s, 4-speeds, and convertibles pushed the project to beyond reasonable budget limits. I knew whatever Firebird I found would need some work so part of the plan was to purchase it one year and then restore it over the next several years. 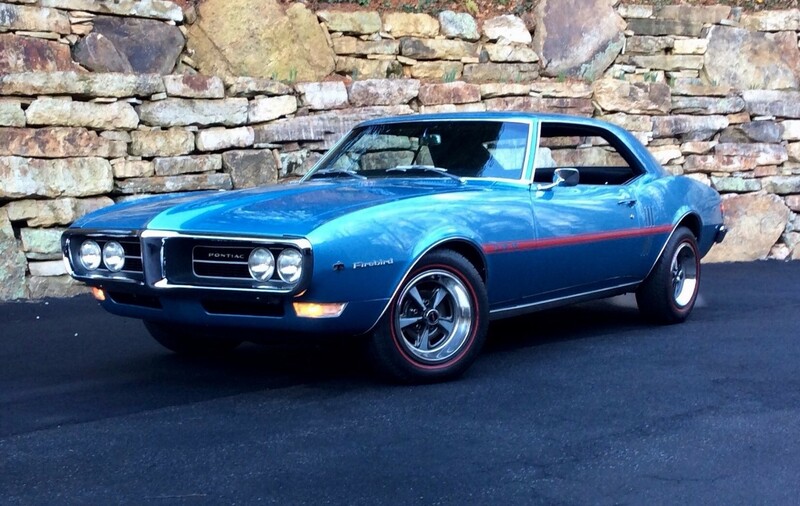 I found 1968 Firebird 350 coupes were reasonably priced and available. The trick was to find one still close enough to stock and not hot rodded too much. 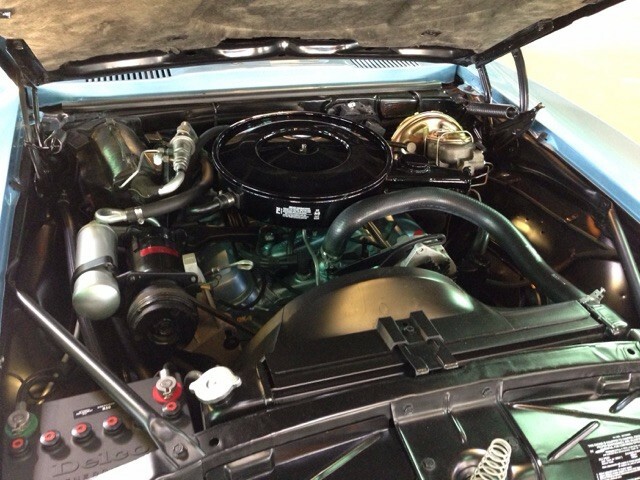 I found my 68 Firebird in Michigan and it was a clean, solid, numbers matching 350 two barrel, console two speed automatic, air-conditioned coupe. 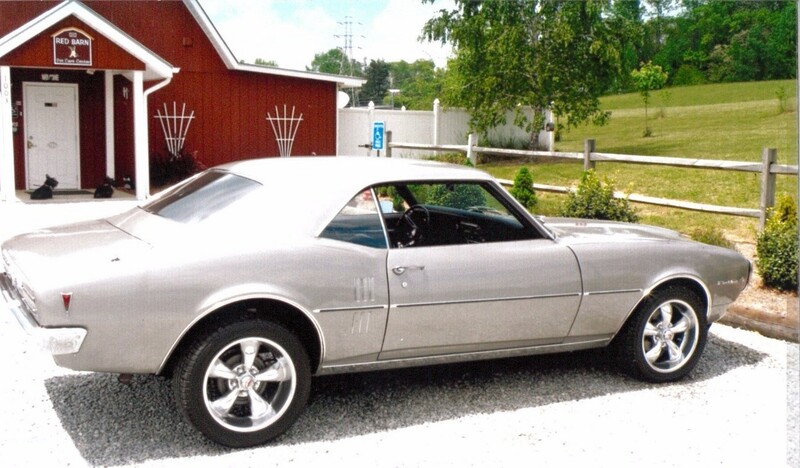 The color was a pewter silver, it had 17-inch Coy wheels with low profile tires and it had a front chin spoiler. The owner was a Pontiac fan who bought cars to work on in the winter and sell in the summer. This car was still for sale in the fall and he had his next project, a Gen two Formula, ready to start. The car looked cool and ran well. I found from the original bill of sale and protect-o-plate that the car was bought new in California and that the original owner kept it for twenty years putting on 85000 of its 95000 miles. We agreed on the deal and I had the car trailered home. The good thing about the car was that it looked good and ran well so I could attend local shows even though I knew I needed to repair or restore some things to make it right. I started to restore it with with safety items first: brakes and front-end rods and bushings. Front drum brakes were replaced with disc brakes and I learned that although the company said 14-inch Rally II wheels would fit they did not. I kept the 17-inch Coy wheels until I could budget for 15-inch Rally IIs and red line tires from Coker Tires a couple of years later. Lots of detail work was completed along with some under hood and trunk painting. The original carpet was pretty well worn and washed out in color and ready for replacement. The car had a standard single exhaust so it was upgraded to a 304 stainless OEM correct dual exhaust with two resonators and a cross flow muffler from Classic Exhaust. The system looks good and is correct but quiet. The early Firebirds had a problem that the steering wheel would crack around the hub with age. I pulled the wheel and had it restored by Dennis Crooks at Quality Restorations. I wanted to add a console clock which took quite some time to find on eBay. The restored clock was installed and really completes the interior. I found during this time that silver was not an available Firebird color in 1968 and the original color of my car was Springmist Green. The car looked good in silver with the redline tires but I knew if I left local car shows into the deep waters of national Pontiac shows I would have to get the bird back to a stock color. 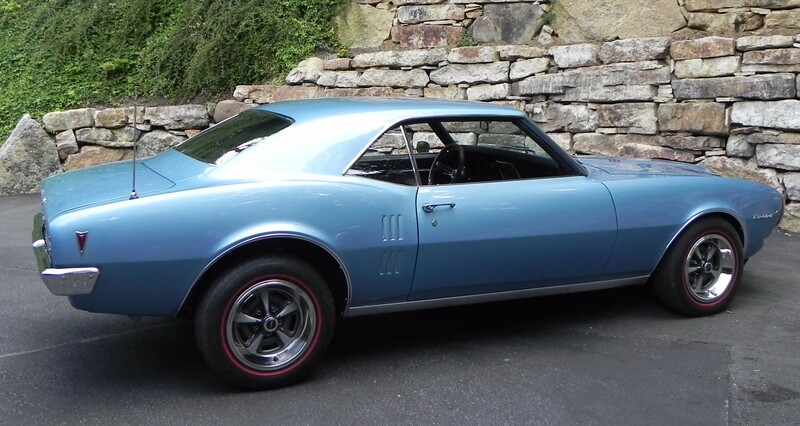 A year later I had our baby repainted Alpine Blue which was a correct color offered in 1968 for Firebirds. I looked at the Springmist Green to bring it back to original but just could not see spending that kind of money for a color that did not WOW me. Here’s the final result of the repaint before the POCI Louisville, Kentucky show. This would be our first national show and our first out of state trailing experience. We entered the Firebird in Popular Vote at Louisville as I was not quite sure how the judging process would go. We did well and I meet a group of guys from Cruisin’ Tigers GTO Club who helped out a lot with my questions. 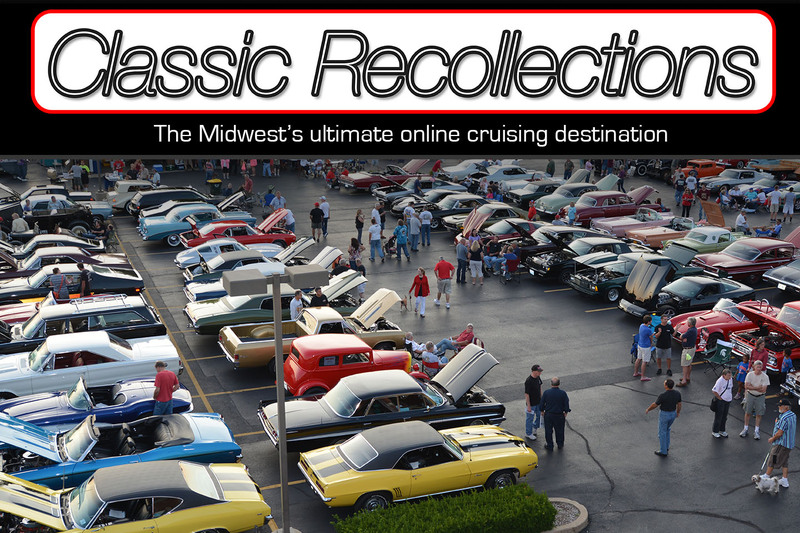 Our next show was to Saint Charles, Illinois to support the Cruisin’ Tigers GTO Club’s Indian Uprising. This was another great show and again I meet a bunch of people who helped answer questions and gave advice. 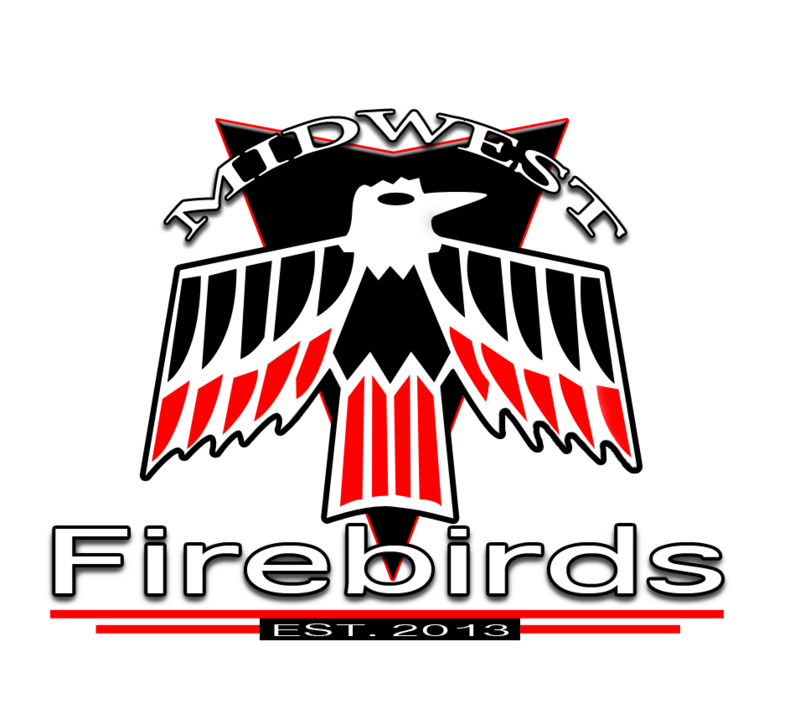 I met folks from Midwest Firebirds which is a first-generation club in the Chicago area. Everyone from the club was very encouraging and helpful so I joined the club despite living in North Carolina. Lastly in 2015, I took the 68 to the Trans Am Nationals in Fairborn, Ohio. This is a great show for all generations of Firebirds and we did well in the F-1 modified class. 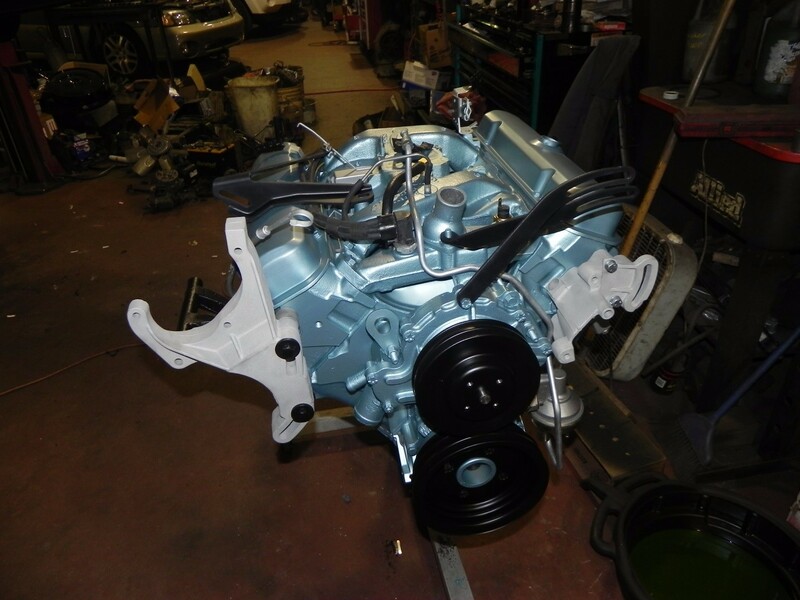 Ron did a great job restoring the engine compartment, trying to make it as original as possible. In 2016, we traveled to the POCI convention in Bettendorf, Iowa, the Tri-Power Nationals in Norwalk, Ohio and back to Fairborn, Ohio for the TA Nationals. We tried points judging in modified classes at the events and learned about a lot more items to improve on. Even though I have tried to keep the car mostly stock we are in modified classes due to 15-inch wheels, radial tires, aftermarket shocks, stainless steel exhaust system and an aftermarket starter. So, we keep tinkering with the bird and following last year’s judging sheets we completed a bunch of items to help us improve. 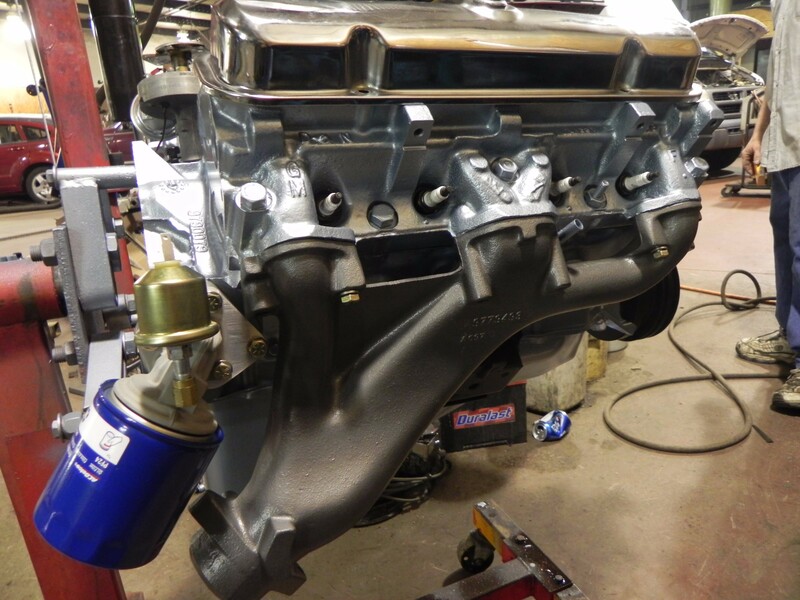 I wanted a little more pep to the ride so we upgraded to an “HO” option with a 600cfm Edelbrock four barrel carb on an OEM intake manifold, a set of ceramic coated long branch headers from Ram Air Restorations, and a TH350 transmission. 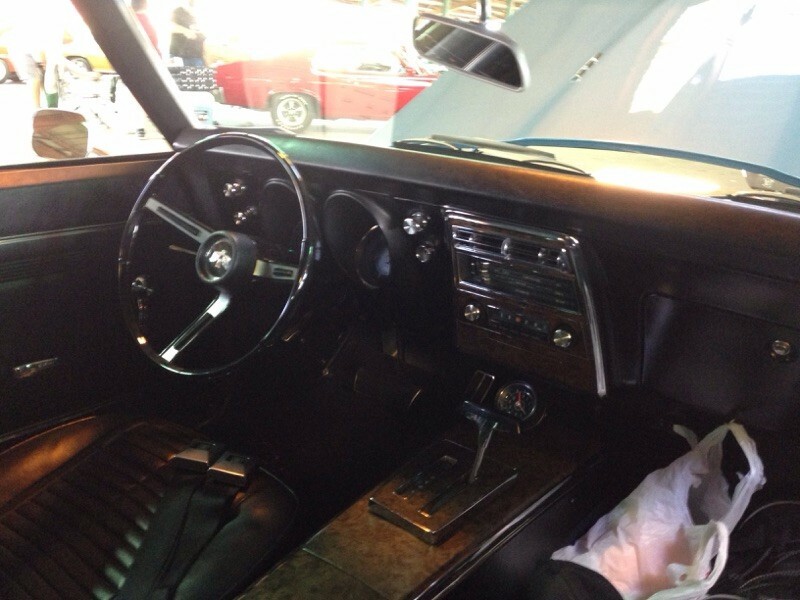 We topped off the performance upgrades with an HO stripe and an instrument gage cluster. You’ll be able to see Ron’s finished Firebird at the 2017 Indian Uprising next month, as we celebrate the 50th year of the Firebird as the Featured Club! 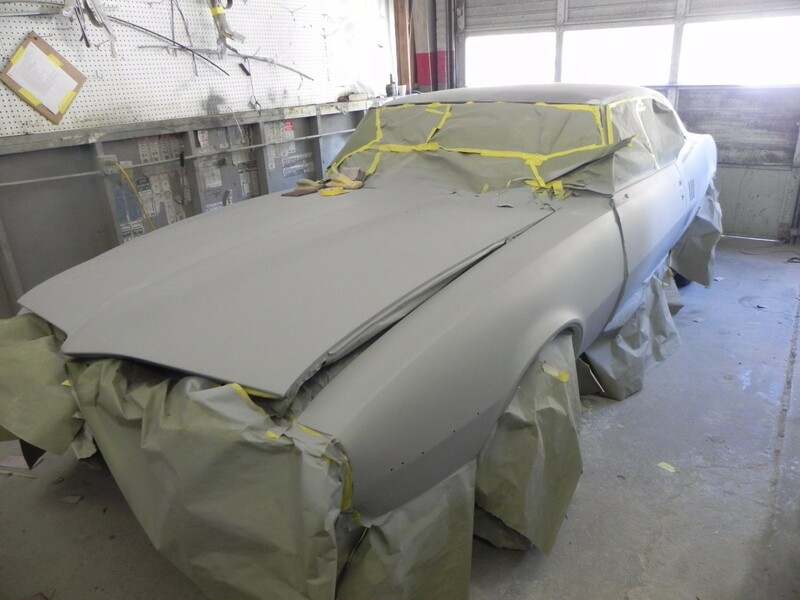 Our 68 Firebird has come a long way from a twenty year California daily driver, to a silver 17-inch Coy wheeled Woodward Dream Cruiser, to our retirement project Firebird HO show car. I find our car is like an old house, there’s always something to do to make it better. Besides, I don’t want to be eighty years old someday and say I wish I would have done one more thing to that 68 Firebird!